Reducing the financial burden on companies by means of tax incentives supporting innovation and stabilizing growth is one of the most important tasks for the Chinese government. With the increasingly challenging economic environment and anticipated launch of tax reduction policies by various other countries, the State Council executive meeting, hosted by Premier Li Keqiang, announced a series of new measures to implement further tax and levies reduction. These include the relaxation of R&D super-deduction requirement as well as the extension of tax incentives currently given to venture capital to high-tech enterprises in eight designated locations plus Suzhou Industrial Park. Reducing the financial burden on companies by means of tax incentives supporting innovation and stabilizing growth is one of the most important tasks for the Chinese government. With the increasingly challenging economic environment and anticipated launch of tax reduction policies by various other countries, the State Council executive meeting, hosted by Premier Li Keqiang, announced a series of new measures to implement further tax and levies reduction. These include the relaxation of R&D super-deduction requirement as well as the extension of tax incentives currently given to venture capital to high-tech enterprises in eight designated locations plus Suzhou Industrial Park. TPP seems not to be going anywhere after President Trump declared US’s non-involvement right after his inauguration. Despite the strong effort of Japan to make it a go without the US, the trade initiative could not muster support enough from the remaining 11 members. In a surprising turn of events, on June 5 Japan’s Prime Minister Shinzo Abe delivered an important speech which he declared that Japan is ready to extend cooperation with China’s Belt & Road Initiative (BRI). Japan has all along been against signing on to Asia Infrastructure Investment Bank (AIIB) or endorsing the BRI as it is seen as the challenge to the Japan led Asian Development Bank. He went on further saying that the significance of the BRI is not only for China but also for Asia to play a role as global economic entre connecting the East and the West. It holds the potential to connect the East and the West and vast region in between. It can be seen as the turning point of the China-Japan relationship. The BRI can bring about the warming relationship of China d& Japan. This new situation was brought about by the new trade and political direction set forth or at least suggested by the new Trump administration. In the course of developing the BRI, China is making a westward shift in economic development. The provinces in the west such as Xinjiang, Tibet, Qinghai, Inner Mongolia, Guangxi, Sichuan, and Yunnan are showing higher economic growth than the national average. Sichuan Province and neighbouring Chongqing Municipality have become the largest economic and trading hub in the western region. The western region has been an important gateway between the east and the west, it is also the connector for China with countries to the south and west of its borders. In 2013 a high speed railway begun operation from Chengdu to Poland taking 10-12 days to ship goods, twice as fast as by the sea route. It easily connects with the Europe rail network to London, Paris, Berlin & Rome by the Europe rail network. This year the city of Yiwu in China, a famous small commodities sourcing and distribution center, will be connected by a freight train to the UK. This is one of many projects and potential economic developments of the BRI. Bit by bit, section by section the BRI will connect the less populated region of Euro-Asia to the densely population cities in the East and the West. It creates opportunities in Eastern and Central Europe. Trade can bring about economic growth and stability which in turn can bring about political stability in the region. The month of July for example is a month for textile apparel shows in South China. 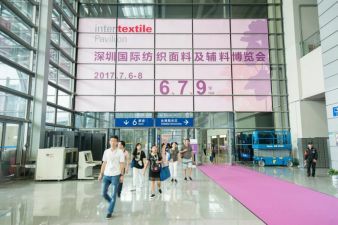 The Intertextile Pavilion Shenzhen, a fabric show, was held concurrently with the China International Fashion Brand Fair – Shenzhen and the Hongkong Fashion Week followed right after. 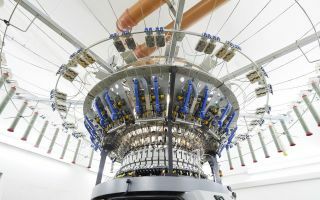 All were all fairly successful, especially the Intertextile event by Messe Frankfurt Hong Kong. The Overseas Zone, participated by Korea, Japan and Taiwan, and the Trend Forum remain as centers of attraction. The show kept on attracting new exhibitors from Japan, Korea and Hong Kong.